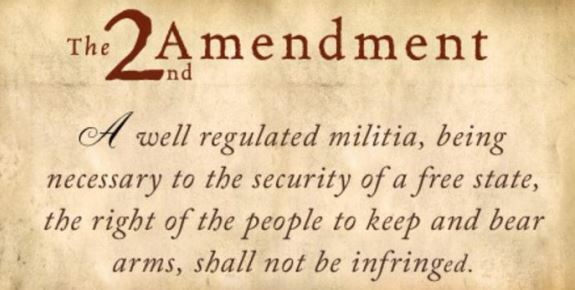 On Monday, the Supreme Court failed to grant certiorari to an important Second Amendment case. The case, Peruta v California, has been closely watched by gun rights and gun control advocates, law enforcement and legal experts nationwide, and many had predicted that — while the Supreme Court has been unwilling to take on other concealed weapons cases — this one could be the vehicle to decide how far the Second Amendment extends beyond the home reported Kristina Davis of the San Diego Union Tribune. Edward Peruta and other gun owners who were denied concealed-carry permits by the San Diego County California sheriff filed a petition asking the high court to consider hearing their case, which they lost on appeal at the Far Left 9th U.S. Circuit Court of Appeals. Peruta and the California Rifle and Pistol Association Foundation filed a brief with the Supreme Court seeking the court’s opinion in the case, claiming that the California law could lead to a prohibition on carrying a gun outside the home for any reason. Our friends at Gun Owners of America filed an amicus brief that challenged California’s restrictive “good cause” requirement for concealed carry licenses. Read GOA's brief here. Through its Monday decision not to accept the case the Supreme Court let stand the 9th Circuit of Appeals decision. Adelmann notes it takes four Supreme Court justices to consider a lower court’s ruling, and, despite the addition of Justice Neil Gorsuch to the bench, just one other justice could be found to vote to take the case. Gorsuch concurred in Justice Clarence Thomas’ eloquent dissent that criticized the majority for its continuing reticence to rule on important Second Amendment issues. At issue in this case is whether that guarantee protects the right to carry firearms in public for self-defense. Neither party disputes that the issue is one of national importance, or that the courts of appeals have already weighed in extensively. I would therefore [have granted] the petition for a writ of certiorari. California generally prohibits the average citizen from carrying a firearm in public spaces, either openly or concealed. With a few limited exceptions, the State prohibits open carry altogether. It proscribes concealed carry unless a resident obtains a license by showing “good cause,” among other criteria…. In the county where petitioners reside [San Diego], the sheriff has interpreted “good cause” to require an applicant to show that he has a particularized need, substantiated by documentary evidence, to carry a firearm for self-defense. The sheriff’s policy specifies that “concern for one’s personal safety” does not “alone” satisfy this requirement…. Instead, an applicant must show “a set of circumstances that distinguish the applicant from the mainstream and cause him to be placed in harm’s way. [A] typical citizen fearing for his personal safety — by definition — cannot distinguish himself from the mainstream.” As a result, ordinary, “law-abiding, responsible citizens,” [as quoted from the Supreme Court’s decision in District of Columbia v. Heller], may not obtain a permit for concealed carry of a firearm in public spaces. Thomas came close to putting his finger on why the present majority doesn’t want to take cases like Peruta says Adelmann: fear of giving Second Amendment supporters a clear victory that anti-gun members of the court want to avoid. Justice Thomas is right – the Framers of the Constitution did not reserve the right of self-defense to those elite members of society whose position or wealth provides them with armed guards. When the courts fail to enforce the promises of the Constitution, then it is up to the legislature to act. We urge Congress to take up and pass a national concealed carry bill.